Upcoming Shows and Events - EAST TX AMC CRUISE-IN, JUNE 1, 2019, 8TH ANNUAL! Forum Description: AMC related shows, auctions or events go here. Announce club events here. Topic: EAST TX AMC CRUISE-IN, JUNE 1, 2019, 8TH ANNUAL! 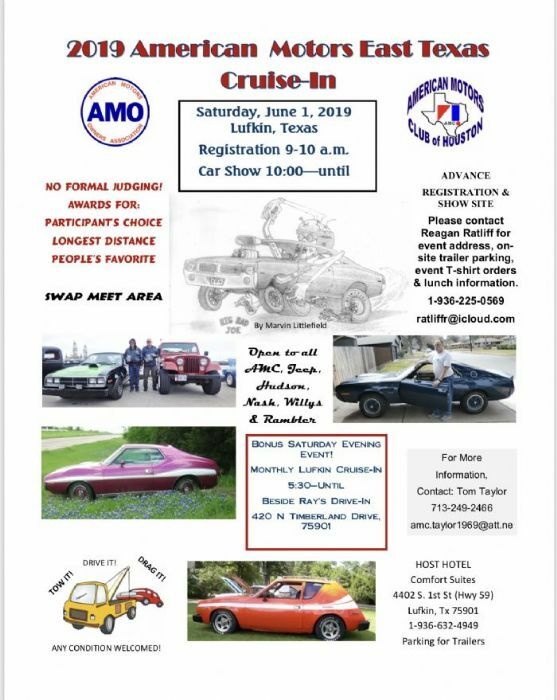 Subject: EAST TX AMC CRUISE-IN, JUNE 1, 2019, 8TH ANNUAL!